The lean business plan. Don’t assume you necessarily need the elaborate business plan even if the goal is presenting for outsiders. Times are changing. For investors, the lean plan might be all you need because they deal with your summary and pitch before they see the plan. The traditional business plan document. It starts with executive summary and has chapters describing the company, its market, its business offering, strategy, management team, and financial projections. It’s often a printed document but can also be an electronic (usually PDF) document or even a website (presumably protected by password to protect confidentiality). For more on that, turn to Your Formal Plan Document later in this section. The pitch presentation. Think of startups pitching for investment. It’s a slide deck to be narrated and used as background for a talk taking as few as 10 and usually 20 to 30 minutes, even more when things go well. The main pitch presentation is mostly pictures and business charts to serve as background and emphasis for a speaker. Sometimes people will create a leave-behind version, with more words, that can stand alone being read as a series of slides, without narration. For more on that, turn to Your Business Pitch later in this section. The summary memo. This is a short text summarizing the main points of a business to use as an introduction to investors, bankers, or other outsiders. It fits into an email. The best of these are only a page or two long, and they rarely if ever exceed five pages. The summary memo is often almost identical to the executive summary which is the first section of the business plan document. For more on that, turn to Developing Summaries later in this section. The elevator speech. A very short monologue. The well-known business plan competitions that feature elevator speeches limit them to 60 seconds. For more on that, turn to Your Elevator Speech later in this section. Don’t think a pitch presentation or summary deck can replace a business plan. This idea stems from the Lean Startup rejection of the “elaborate” business plan, which I discussed in Lean Startups in Section 1. And furthermore, just as it’s cool for successful people to claim later that they never studied in school – whether that’s true or not – it has become cool for successful entrepreneurs to claim they didn’t start with a business plan, and for some investors to claim they don’t read them. But even the lean startup authors agree that all businesses need strategy, tactics, milestones, priorities, and sales and expense and cash flow projections. 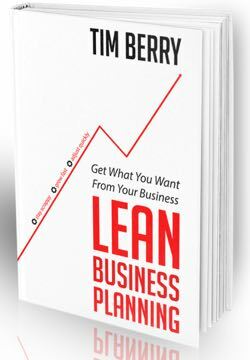 Important: A lean plan alone might well be enough, without the full elaborate plan, to serve a business plan event, especially when it is communicated along with a good summary and good pitch deck. The most serious problem with using only a pitch instead of a plan happens, ironically, if the pitch is successful. Interested investors will almost always respond to a pitch with additional questions, and they are disappointed and discouraged when the entrepreneurs can’t answer those questions in depth, with projections, from the context of a real business plan. However, for this use, the simple lean business plan may be enough. However, it is also true that sometimes, for entrepreneurs they know and trust, investors will fund a startup that doesn’t have a formal business plan. I’ve had real experience with this, from close up. Also, professional investors will invest in ongoing high-growth companies based on formal financial statements and demonstrable traction, plus team credibility, without requiring a formal business plan. Furthermore, investors quite frequently reject a deal without ever reading a business plan, just from a summary or pitch presentation. The business plan becomes important for deals the investors like, especially during the due diligence process. Here too, however, the simple leans business plan may be enough to meet the need.